This quack is loud...and fatal. Covering your ears won't help. When see it, it'll be the last thing you see. 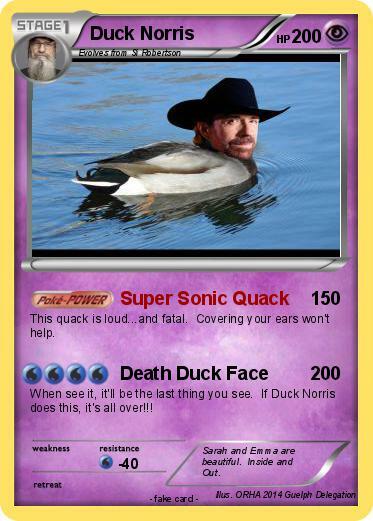 If Duck Norris does this, it's all over!!! Comments : Sarah and Emma are beautiful. Inside and Out.